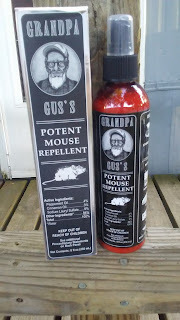 By now, I hope you have read The other blog post about Grandpa Gus. I didn't really jump into a throwback and sound exactly the same as the last post, so please read it as well, the pouches really are great! This box and bottle, really follow the same theme as the pouches did. They scream barber shop candy strip pole and I am LOVING it. At this point, it is what I have to be in love with. I won't know any real results for months, so again, let's focus on what I do know, as of now. The packaging is pretty simple, they didn't waste a bit of space which I respect. So many companies like Amazon for example, throw tiny products into huge boxes. Sooo wasteful, considering, the number of people who recycle is probably smaller than those who don't. Anyway, back to the topic at hand...the box. Grandpa Gus is featured nicely and is the focal point. He draws yours eyes and then you just have to find out what he is selling. Plus the colors go wel together, with nothing crazy, yet they still manage to pop all on their own. It clearly states what the product can be used for, how to use it, and examples of places you can use it. Now the bottle is pretty cool. 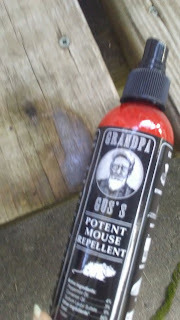 Again Grandpa Gus is front and center, but the red liquid steals the show this time. Your eyes go straight for it and you just have to smell it. If you like the smell of Big Red or Firebball, you should like the interesting cinnamon blend in this bottle. 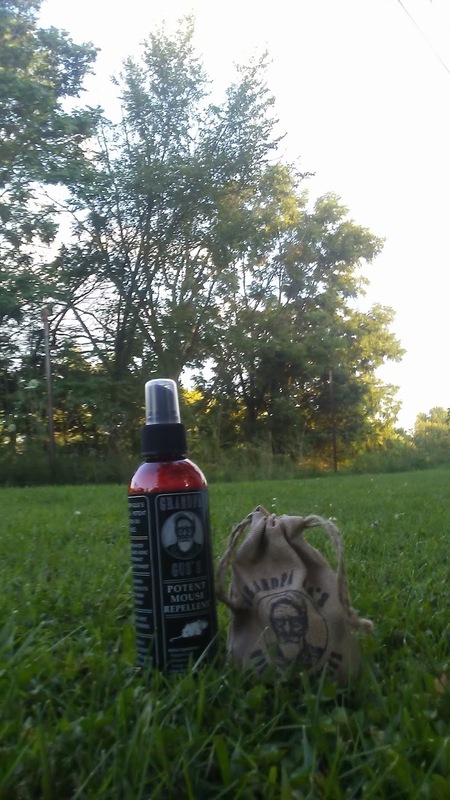 The smell to me is great to work with. 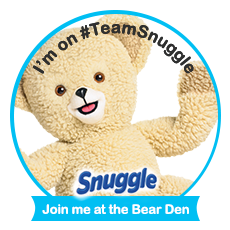 Especially being made of essential oils, I really feel safe. Sadly it doesn't come out red when you spray it though. 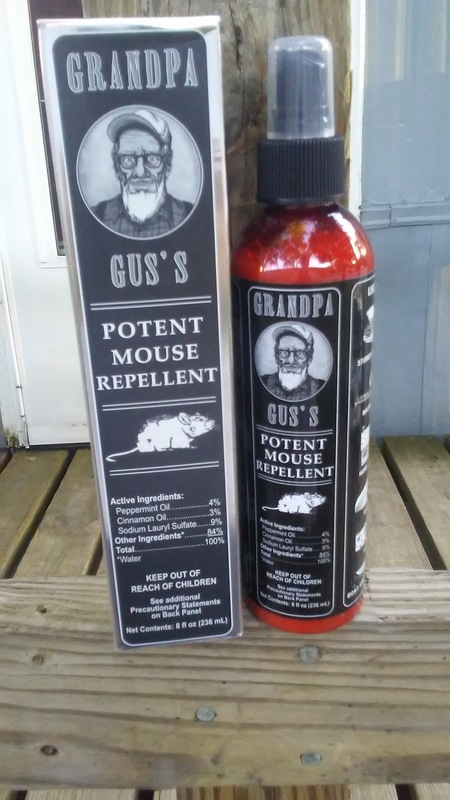 I plan to use this product, out around my home and my shed. i can't give you any real answers on whether it works or not, that will come later in the updates. I know this product is for mice, but I am going to try it for my mole problem. I figure the worst thing that could happen, is we take care of the mole problem. 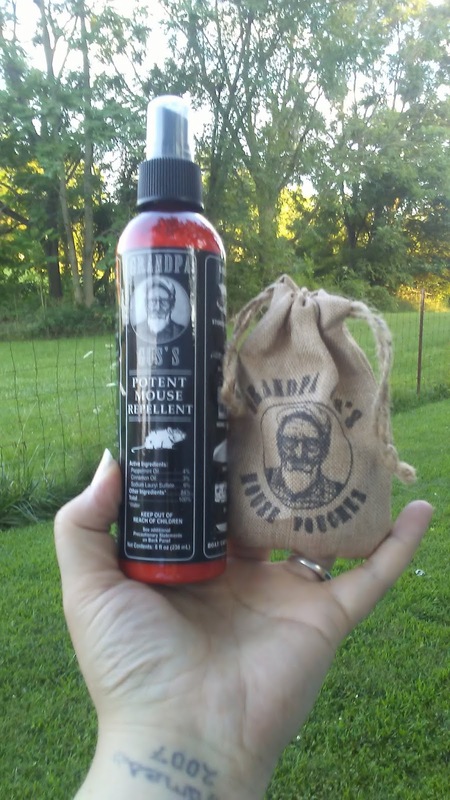 Please head over and check out the amazing products from Grandpa Gus's! As you can see, I did get this to review, but I have to say I really love it. From the smell to the brand, every opinion here was my own!